Formulated at the precise concentration proven to deliver maximum amounts of vitamin C to the skin, Serum 20 is now formulated with AOX+ advanced antioxidant technology, combining ferulic acid with 20% L-ascorbic acid to enhance antioxidant performance. Designed to restore and protect healthy looking skin, this lightweight and fast-absorbing serum neutralizes free radicals, defends against environmental damage, and helps prevent premature signs of aging. Ideal for normal to oily skin. Once in the morning after cleansing, apply 4-5 drops to a dry face, neck, and chest. Follow with a moisturizer and sun block. Aqua / Water / Eau, Ascorbic Acid, Ethoxydiglycol, Propylene Glycol, Glycerin, Zinc Sulfate, Phenoxyethanol, Sodium Hydroxide, Panthenol, Ferulic Acid, Sodium Hyaluronate. The serum is easy to apply. I have used it everyday for two weeks and my DMN feels great. I have used nearly the entire bottle of this stuff, and I've got to admit that I'm not a big fan. For one thing, it's a total mess to apply... who came up with that bottle-dropper design?! I always find drips and drops of the product in my sink after application, which is a waste given the product's price. Also, the product turns my (admitted very fair) skin a slightly orange-y tone, and I find that it doesn't absorb terribly well, leaving a sticky dry sensation on my face. 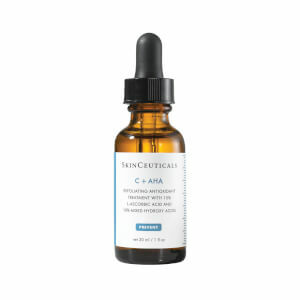 There are better vitamin C serums out there; I recommend ARCONA's Youth Serum or Ole Henricksen's Truth Serum instead. They are easier to apply and contain similar ingredients without the mess nor the stickiness, and are a better deal for the price. Great Product. . .but. . .
. . .the smell is downright awful! 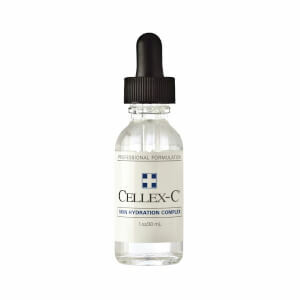 I've used Cellex C before, and understand there are going to be some odors involved, but the smell of hot dog water with Serum 20 AOX nearly makes me gag in the morning.However, the results have been terrific and it's a great product. I use it every morning with the B5 and my skins has never looked so good.I don't know that I could commit to a lifetime of using this every morning given the smell, so I might research and find a comparable product that has similar results. I used to sell this a long time ago, and I used the CE Ferulic, which I also thought was a little bit heavy and smelled like hotdogs....haha. All the serums work well, but this one is my favorite. It's super light, and the smell isn't bad. 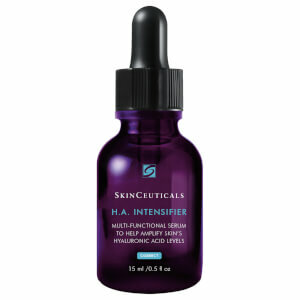 I've seen amazing before and afters with SkinCeuticals's serums. I'm only 23, so I can't really tell much about discoloration/line prevention yet (I'll tell you in 10 years ;) ), but this serum really gives my skin a nice clarity. I am almost 65 and have been using this amazing concentration of Vit.C since my laser resurfacing in 1996. Almost every single time I go out somewhere, I am complimented on my skin. I do use good sun block even to get the mail but this product is truely the secret! Wouldn't be without it. It isn't drying or irritating . I highly recommend this product for wrinkle treatment and prevention. I am 33 and thought of Botox but with regular use of this high concentration of vitamin C I am seeing results. I also use a 10% glycolic acid treatment and my skin has never been smoother!